The woman we can’t get enough of! We took to social media to ask what you wanted to know about superstar Yoli Chisholm, and boy, did you send us some good ones! 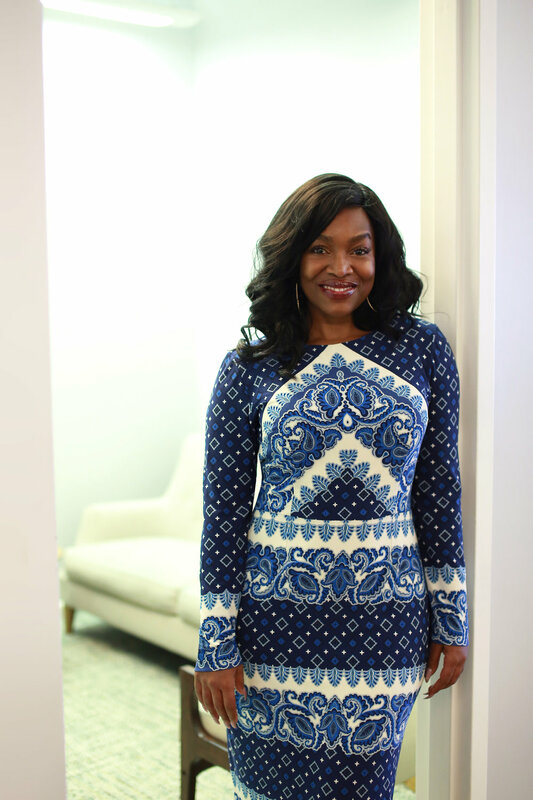 Read along as this award-winning executive, digital marketing expert, and advocate for young people answers the 14 (yes, 14!) questions we absolutely needed to know. Q: Yoli – you are clearly paving the way and shattering glass ceilings! How do you stay focused on your goals? How do you make sure you are always progressing in your career? A: On staying focused One of the things I have learned over time is the importance of having a philosophy about your life – the principles by which you decide to live. One of principles I hold is living with intention and never letting life simply “happen” to me. I want to be the one steering the ship on this journey, and I bring that principle into the way I think about my career. Be very intentional about where you’d like your career to go. Don’t become passive. For example, I know that I will be a CMO. I know I will be the CEO of a large organization. I have researched and executed against the steps I know it will take to get there. I have looked for opportunities to make incremental progress, both in the variety of experiences and the skill sets needed to develop and eventually become a strong CMO. Women can do the same, regardless of what their goals are. I encourage you learn about a concept called “First Principles Analysis,” which can be applied to anything you want to achieve! This analysis teaches you how to break down your goal and reorganize it into the steps necessary to achieve it. It even allows you to figure out alternative paths to achieve the same results. On progressing in my career In order to keep momentum going in your career, it’s important for you to maintain a love and passion for learning. This requires a level of honesty and self awareness – an acknowledgement that you can always learn and grow. Some call it having a growth mindset vs. a fixed mindset. I try to practice having a growth mindset everyday as a habit. You can learn to do this by using a mental trick: next time someone suggests a new idea at work, try looking for reasons to make it work instead of identifying the reasons why it won’t work. Being the person who is always open to making things work will encourage people to see you as someone who can be counted on to drive new initiatives. I always encourage women to say “Yes” more often than “No,” even to the things that may scare them. It forces you to challenge yourself and learn. When you do that, you’ll find your career progresses organically. Q: What are some of your favorite networking tips? A: Try to remember that everyone feels equally awkward about connecting with strangers. Take some comfort in that! When you break down the challenge of networking, you may find that your nervousness stems from a fear of the unknown. An effective counter to that stress is to make sure you have a few key things that are in your control and that you know you can feel good about. For example, you can control how you look – focus on dressing in something that helps you feel confident and gives you a boost of courage. In these networking settings, you’ll often find you are standing around for quite a while. Make sure you’re wearing comfortable shoes that still look great! I like to wear wedges (or even sneakers with a heel!) for more casual settings – the goal is to ensure that you’re not distracted by sore feet! Lastly, I cannot stress enough how important it is to listen and be present when you are networking. Remember – people won’t necessarily remember what you say, but they will always remember how you made them feel. In order to be memorable, you must learn how to be an active listener. Hear what people are saying so you’re able to respond in a way that lets them know you were listening. Show people that you can have a meaningful conversation. We all know the difference between someone who half-listening to a conversation and someone who is actually listening – they become memorable to us. Q: How do you stay looking good and feeling good (with such a busy schedule)? A: We are walking billboards, and more often than not, how we look reflects how we feel. Most of us ladies know exactly what we need to do in order to look and feel our best. The trick is internalizing the importance of self-care vs. everything else we have to take care of. Think about it like this – every time you are on a plane, you hear the same the safety guidelines recited before each takeoff. In case of emergency, secure your own oxygen mask before assisting others. The same principle applies to your life. We cannot lead or nurture others well if we are not taking care of ourselves. I have learned to keep it simple. I am more confident when I look good, so I focus on finding styles that flatter my body, regardless of my weight. If I gain weight, I simply adjust and shift to styles that still make me feel good (instead of trying to squish myself into smaller sizes – I find this is not great for confidence! ), and the positive boost from feeling good inspires me to get in shape. Having children and wanting to be around for them motivates me to stay healthy and embrace better habits. If I had to pick just one self-care practice, I would say that it is most important to listen only to the voices (in your own head or from others) that say kind things about you. Reject negative thoughts – in your life, in your workplace, in your home – and be your own best cheerleader. Q: Was there a time you failed? How did you recover and get back on track? A: I have failed many, many times. I have been laid off several times. I was once on a marketing team for a family-owned fashion brand in Canada, and they fired the entire marketing team in one day. Had I not been raised by immigrant parents, I may not have dealt with those setbacks as well as I did. I learned from them. When you are an immigrant, you don’t have the luxury of moping around or operating with a “woe is me” attitude. You have to get up, dust yourself off, and get back in the game. Whenever I encounter setbacks, I set a deadline for when my “feeling sorry for myself” period will end. Usually, I allow myself a day or two of whining. I get it out of my system. Then, I make a plan and commit myself to executing it. One of the best mindset tricks I have learned is to think of each experience or episode as an experiment. Some experiments work, and some don’t, but you always walk away from the experiment with new data – you always learn something. All of my setbacks have taught me valuable lessons, so they have all been positive experiences. The one thing to remember whenever you are met with a “failure” or setback? Never burn bridges. Always stay classy and leave any interactions or relationship with open possibilities. I have been rehired by the same companies that laid me off. You learn that these things are rarely personal, so it’s important to leave every situation – even difficult situations like relationships and business partnerships – gracefully, because you never know who you may encounter again down the road. Q: What advice would you give to someone wishing to transition into entrepreneurship? A: I have tremendous respect for entrepreneurs! It takes a great deal of courage to push an idea from concept to reality, but by the same token, I also have tremendous respect for the art and science of business. Remember that the failure rates of startups and small businesses is very high. Entrepreneurs are more likely to fail than they are to succeed, but because I am a positive person by nature, I encourage entrepreneurs to focus on understanding the success factors in their areas of interest before they take the leap. By understanding, I don’t just mean reading or talking to people. I mean actually working in the sector of interest so you are able to develop a working understanding of the systemic challenges, as well as a real view of the opportunities. Even if you are an entrepreneur trying to create something completely new, it’s important to immerse yourself in the space before you invest or begin to build anything. If you’re working in the corporate world, take a look around you and think of your job as your training ground. Every corporation was once a startup. In your current corporation, you may be able to identify a new opportunity based on something that you see being done incorrectly. You get to understand the basics of business – systems, operations, hiring, managing. Look around you! You might even see your future business partner or potential employees sitting in the same office. If entrepreneurship is your goal, start looking at your current position as a business in itself. How are you doing in your position? Would you hire yourself? Have you figured out how to grow the business of yourself? Q: When you are not working, which activities gives you the most enjoyment? A: I am trying to live my best life! That always includes great company, good music, delicious food, and dancing – my first love! Q: What motivated you to keep pushing when it seemed like nothing was moving for you? What motivates you today? When you experience situations that require extra resilience and courage (in order to continue with a project or get through a tough day) what is your go-to source for motivation? A: When you are clear and intentional about your end goal, it makes it easier to deal with challenges, because your end goal hasn’t changed. When I have tough days, I try to remember that challenges are simply blocks in the road – my destination is still the same. I may have to take a moment re-strategize, reroute, and find a detour, but it doesn’t change the dream. You are surrounded by things that can remind you to think positively. Look the progress women have made! This is a great motivator for me, because I am old enough to remember secretarial pools. I started out as a secretary to a CMO and she told me I could become a marketer…and I did! I am motivated by the amazing women I watched while I was growing up, like my mother who raised and educated five kids. I continue to be motivated by the women I see around me today – particularly, my own daughters. I need to model resilience. I don’t have a choice. To me, it’s an insult to the women who came before us not to keep going. Q: First of all, thank you for all you do! Reflecting on your journey so far, is there anything you would like to share now that you wished someone else had shared with you? Something that would have made a difference in your timeline or hitting your goals? A: Wow. Yes, yes, yes! Ladies, there are three things: First – Time. All of the hours, days, and years we spend caring about other people’s opinions of us (that often prevent us from doing things in fear disapproval), please don’t waste your time! Time is the most valuable thing you have, and you can never get it back. I wish someone had told me to guard my time like it is gold. Second – Ask. People don’t want to say “No” to you! If I had known that earlier, I would have asked more. I made so much progress just learning how to ask. Ask for the job, the meeting, the promotion, the relocation, the new team member. Just ask. Third, and most important for me – Mastery. I wish someone had explained “mastery” to me when I was younger. There is simply no shortcut to becoming a master at anything. Internalize that, and you’ll save yourself a lot of regret. Q: As a fellow woman of color, how do you invest in your brand and stay competitive? A: It’s so important that you have the right mindset about competition, regardless of your race. I don’t compete. There will always be someone more intelligent, better connected, better looking…you name it! There will always be someone perceived as better, so it’s important that you take yourself out of a “competition” mindset. Instead, focus on what makes you unique. What value do you know you can bring to the table? It’s not about how you fit in (I never try to fit in anywhere! ), it’s about what you can add to the equation. I focus on refinement – sharpening my POV in my industry or my skill set – in a way that makes me valuable. I believe we each have a special way of seeing the world and approaching problem solving that is unique and valuable. In my book, Crushing Corporate, I talk about how your reputation is one of the most important factors you control. Guard your reputation like it is gold, because it is the factor that makes other people recommend you. Lead with your work and let your work speak for itself. The best way to counteract biases is to be excellent at what you do. Q: How do you handle office politics?! A: I do not engage. Period. If I do get dragged into something, I try to address it as transparently as possible. The most insidious part of office politics is the sense secrecy, exclusion, and lack of transparency. As a manager, I try to be as open as possible. I want to make it easy for my team to talk to me – I want them to feel like they can ask me about anything. This eliminates the culture of gossip. I admit when I don’t have an answer to something that someone may have heard, and if appropriate, I try to get an answer. The more challenging aspects of office politics occur when people see cliques or feel like others have been given unfair advantages. I have come to accept that at its core, my job is not where I make friends – it’s how I fulfill my purpose. It is a fortunate joy when I become friends with my coworkers, but it is not my primary objective. I aim for pleasant, professional interactions whenever possible. In my book, I talk about how to achieve win/win interactions, so every person you speak to feels like you understood what they needed, and your tried your best to leave them with a win/win conclusion. Q: How do you maintain a positive outlook when faced with negativity? How do you keep your spirits up when you're met with adversity? How do you keep going? A: I cannot think of another time in the history that I would have rather been alive. Imagine being a woman in the 1950s or the 1800s?! It would have been a nightmare! I just tell myself, at least I’m alive now. I think about how many women would have loved to switch places with me and live in our era. I keep it moving! Q: What is your favorite part of your work? What is your proudest accomplishment? A: I love building things – new teams, projects, products, campaigns. I love taking an idea and making it real...watching the intended audience interact with it. Personally, I am most proud of my children! (They rock!) Professionally, I am most proud of what I’m doing with Crushing Corporate. It’s my goal to change people’s perspectives on how they think about themselves and the time they spend in the corporate world. It’s an ongoing conversation I hope to have with more women, especially as they work to take care of themselves and their loved ones. Q: How did you find time to write your book while working full time and balancing a family? Which habits did you find most important to adopt? How do you maintain work/life balance? A: I have come to accept that there is no such thing as work/life balance. I have decided to work only on projects I love and in areas I’m passionate about. I’m more than happy to be “overworked” in areas that I truly love. That is the key – get in the habit of saying “no” to things that you really don’t want to do, and say “yes” to the things you care about. When I was writing my Crushing Corporate, I knew I had a point of view and wanted to share my thoughts. I used the first principles analysis methodology. I broke down exactly what it was going to take for me to write the book by a certain date, gave myself deadlines, and carved out the time I would need to make it happen. I researched what it took to actually write a book, and then focused on the doing rather than the dreaming. Going out and starting is what gives you to courage to keep going. Q: If I want to be a positive influence for young women, how can I to get involved? Organizations? Clubs? Colleges? A: There are so many ways you can give back to young women! Start with the basics – realize that just by you being you, there could be a young lady watching and learning from you. Be mindful in the behavior you’re modeling. Try looking close to home. A local high school, place of worship, community center, or college alma mater could be the perfect place to start. If you’re inspired to extend your reach internationally, there’s a great organization called Moving Worlds that allows professionals to volunteer their skills abroad. Shop the Ady Midi in curve sizes. Shop the Kathleen Midi in petite sizes and curve sizes. Want to join the power dress movement? Click right here to see what’s new and in the world of workwear. Love our posts about all things professional? Click right here to see our best tips for the working woman.